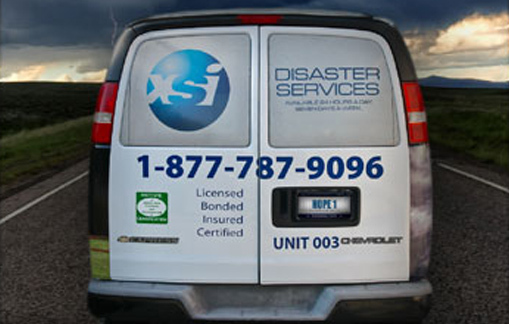 XSI Disaster Services is a family owned business that has been servicing Metro Atlanta since 2006. We are a BBB Accredited A+ Rated Business and an IICRC Certified Firm. Here at XSI Disaster Services we believe that relationships are the key to success. We strive to provide excellent customer service along with highly skilled personnel to ensure a superior emergency services and reconstruction experience. Our main objective is to build relationships with our customers and restore property back to better than pre-loss conditions. We provide outstanding customer service, combined with professional knowledge, using state-of-the-art equipment and products. We are certified in Water and Fire Damage Restoration, Structural Drying, Odor Control, Asbestos, and Mold Remediation. Our technicians are also certified in Carpet and Upholstery Cleaning, Carpet Repair and provide specialty services, such as Environmental and Trauma Scene Clean Up. Our crews are available around the clock, prepared for any emergency. Call us 24 hours/ 7 days a week. Serving all of Metro Atlanta.